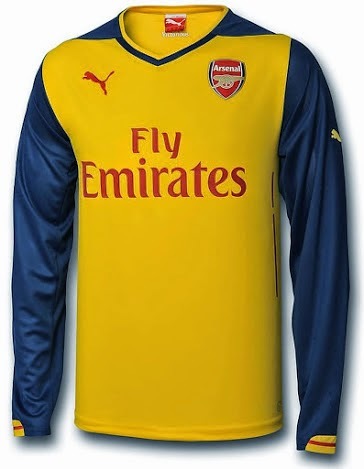 This is the new Arsenal 2014-15 Puma Away Shirt. 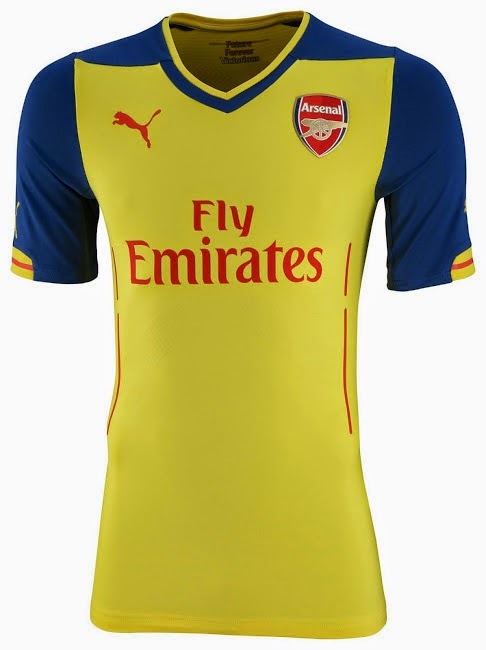 The Arsenal 14-15 Away Kit is yellow with navy sleeves and a red Puma Cat logo on the chest and both sleeves. The Fly Emirates logo on the front of the kit is red, the iconic color of the airline. 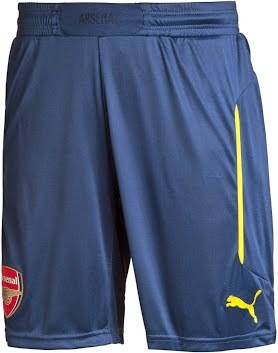 The shorts of the new Arsenal 14-15 Away Kit are navy with yellow applications, while the socks are navy / yellow.